Looking to Hire a Magician in Colchester? Looking to hire a Colchester Magician? Edward Crawford is a full time professional magician who performs in Colchester and throughout the UK. Each year Edward performs at over 200 events including Weddings,corporate events, private parties, dinners, banquets and balls. 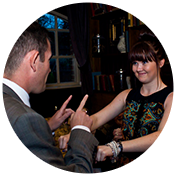 No matter what your requirements are for a Colchester magician Edward will have an act to suit your event. Edward performs a unique and one of the most genuine forms of magic, known as mentalism. This is best described as magic of the mind, psychological illusion or just plain mind reading. A grown up form of magic that will leave even the most cynical with a sense of wonder. 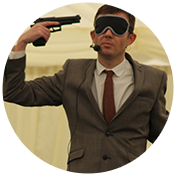 Whether performing close up magic or on stage Edward will read your mind, predict the future, control the present and demonstrate amazing feats of telekinesis, bending metal with his mind! Edward performs a level of magic that most have only seen on television and believe to be camera trickery. Prepare to be amazed when you see it for real in front of your own eyes. 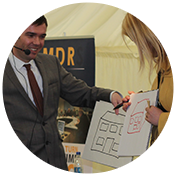 If you’re looking to hire a Colchester magician for your event contact Edward today and Edward will be able to advise on the best performance for your event. 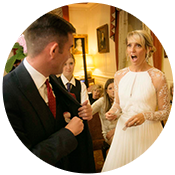 Whether you are looking for a close up magician in Colchester for a wedding or corporate dinner, a full stage show or an intimate parlour show Edward will have the perfect act to suit your event and make it truly unforgettable. If you would like to book him for your event in Colchester simply fill in the enquiry form below. 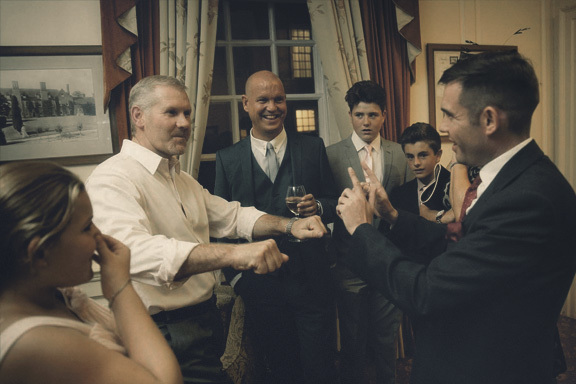 Whether you require a Colchester Magician for close up performance at a dinner or drinks reception, or a cabaret /stage show, Edward will tailor his act to suit your event. Thank you so much for last night. You were fantastic and I am truly mesmerised by your mindreading! I also saw a coin that you managed to bend!!! Edward performs at a range of different events including corporate events, private parties, Christmas parties, dinner parties, banquets, balls, and weddings. 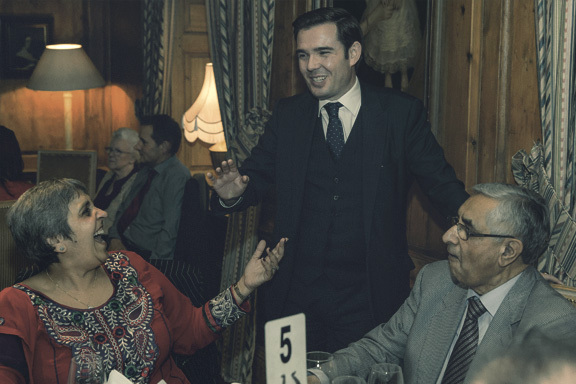 If you’re interested in booking a magician in Colchester, Edward has a range of different performances to suit any event. 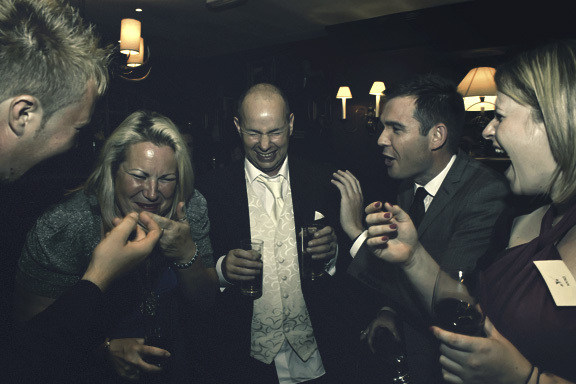 Close up Magician Colchester – Edward will entertain and amaze your guests up close, mingling and performing for your guests one on one and in small groups at drinks parties, and performing a private show for each table at dinner and sit down events. 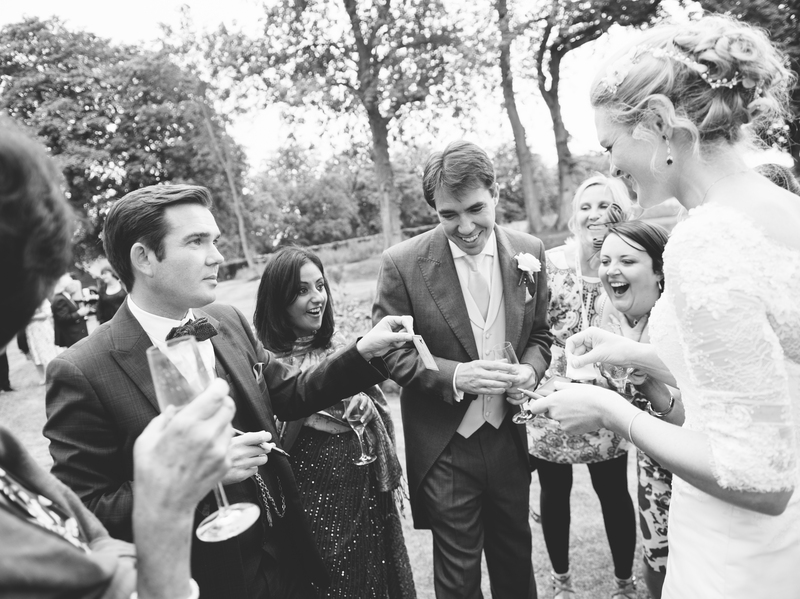 Wedding Magician Colchester – adding an extra special touch to your big day that guests will remember forever. 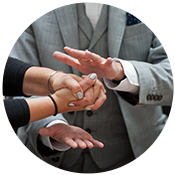 Corporate Magician Colchester – Edward will tailor his performance to suit your company and type of event whether that’s a team building day, trade show, company dinner, or a client meeting. 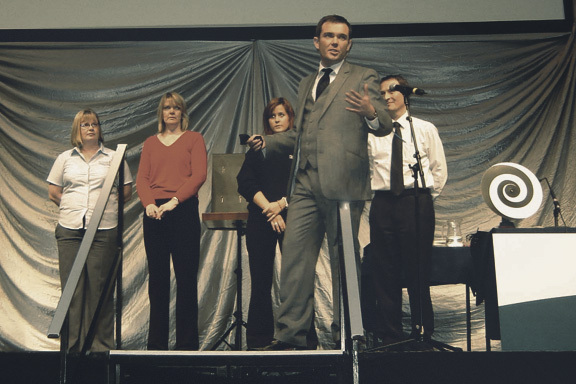 Stage Show Magician Colchester – Edward’s performance lasts between 30 – 90 minutes, with shorter shows easily combined with a close up performance. 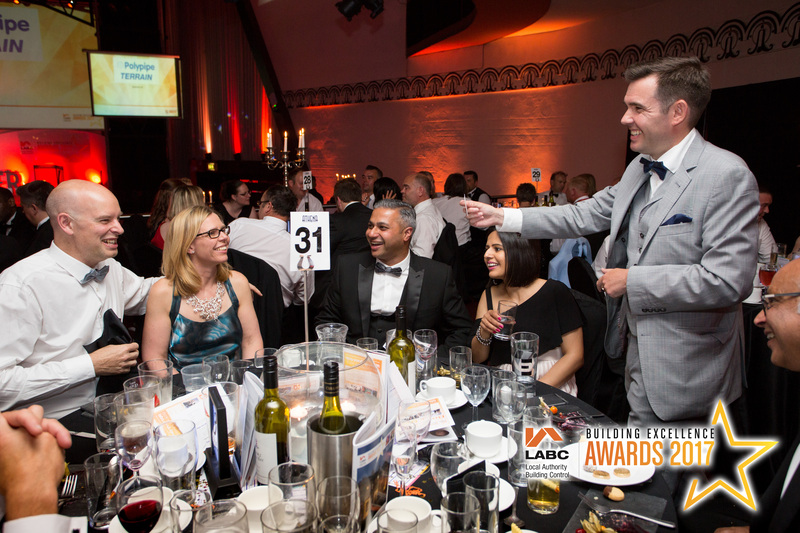 The stage show is perfect for events such as corporate events, charity events, and awards ceremonies. 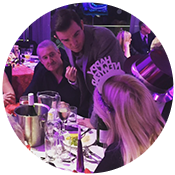 Christmas Magician Colchester – Edward’s act is ideal for work and private Christmas parties. This is Edward’s busiest time of year and it’s important to book him early for your event. Dinner Show Magician Colchester – Edward’s dinner show is perfect for smaller events where you want a show but don’t have the room for a full stage show, and combines elements of Edward’s stage show and his close up act. All the members of the audience will be included in the show. This show can even be divided into different acts that can be performed between the courses. If you’re interested in hiring a magician in Colchester contact Edward on 07814 135569 or email info@www.edwardcrawford.co.uk to discuss the nature of your event and your needs, as Edward performs at hundreds of events every year he will be able to advise you on the best type of performance for your event. Last weekend I was hired to perform close up magic in Colchester for a 50th birthday party. The party took place in a pub that had been hired for the night. I was booked to perform between 8pm and 10pm and there to be about 80 guests. Whenever I perform close up I made sure to arrive an hour early to give myself time to prepare, discuss the evening with the host and with the manager at the venue to ensure I knew exactly what they required and they knew exactly the nature of what I would be doing. This was a particularly straight forward booking, I would be spending the evening casually mixing and mingling with the guests as they ate and drank. In one of the rooms they had an acoustic guitarist singing for the guests so I made sure to avoid this room to ensure I could be heard and equally I wouldn’t distract from the music. Throughout the evening I mixed with small groups of guests, giving each group a 10 minute performance of close up mind reading and psychological magic. A typical routine would be for me to start off with a simple warm up. I might write something down and then ask the group between them all to think of the name of a playing card and imagine taking it from an imaginary deck of playing cards. Once they named the card I would show the piece of paper I had written on to show I had predicted the name of the card they would choose. This is a great warm up as it helps me decide who will be the best people to work with for a more in-depth routine. Next I would move on to mind reading, I might ask someone to think of the name of an old friend, another person to draw a picture and another person to think of a number, their PIN number for example. I would then tell them the number, describe and name the friend and finally duplicate the drawing! I was very pleased to have an almost 100% success rate throughout the evening. It was a fantastic evening with a really lovely group of people. As I was leaving people asked to see more so I decided to perform one final routine for the birthday girl and her husband. This is a very special routine that I rarely perform but if you ever see me at a show ask to see my empathy routine and if circumstances are right I may show it to you.